CROSSOVER! Everybody loves a crossover! Today several comic-themed websites are teaming-up to remember DC’s “Zero Month”! 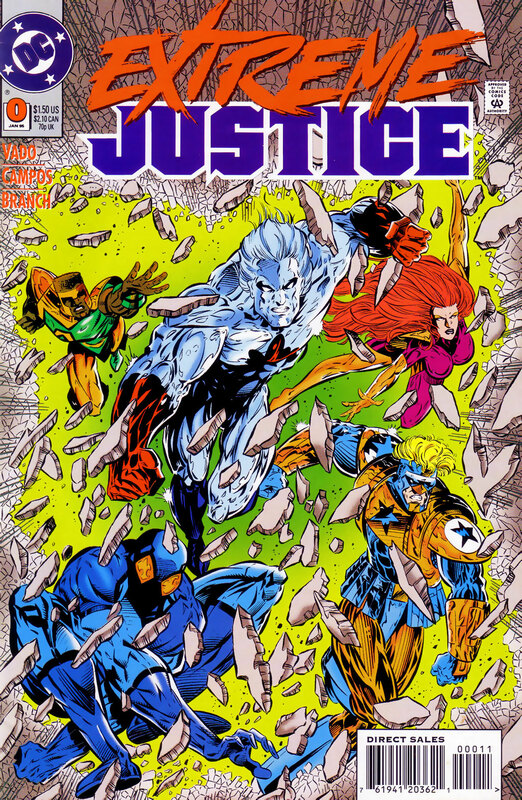 In 1994 DC Comics published Zero Hour, a five issue mini-series designed to not only serve as a major summer crossover but also fix some of the continuity problems that had emerged since the end of Crisis on Infinite Earths. Zero Hour was written and pencilled by Dan Jurgens (who later went on to write and draw Firestorm in The New 52), and represented the dawn of an exciting new era for DC. To kick off this new age, DC followed Zero Hour in August & September 1994 with “Zero Month.” As the name suggests all of the main DC books published an issue numbered zero, though each had a different approach to the idea. Some books featured a new origin. Some contained tweaks to the existing origin. Some contained brand new versions of old characters. Some were intended to launch new ongoing series. All of them served as a jumping on point for new and old readers alike. To celebrate this new era, some of us in the comic book fan community have banded together today from remote galaxies. We’re celebrating our characters appearances in Zero Month along with some promotional material! Not a lot of Firestorm in Zero Month, but he would eventually go on to be a member of the Justice League splinter group, Extreme Justice. 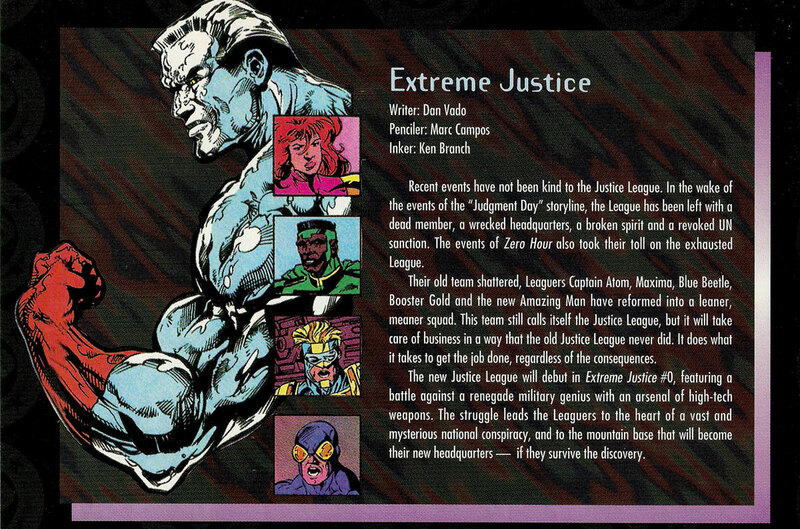 Below you’ll find a blurb promoting Extreme Justice found in Wizard Magazine Zero Hour Special, which was published around the time of Zero Hour. Click to enlarge! In typical fashion for Booster Gold and Blue Beetle, they showed up late to the party. While Zero Month was spread across August & September 1994, this zero issue didn’t hit stands until mid-November. Below you’ll find the cover to Extreme Justice #0, featuring a distinct lack of metallic silver ink that the other zero issues received as cover enhancements. Also note Firestorm didn’t make the cover, though Ronnie Raymond (or “Ron” as he was called at the time) does appear on the inside. It’s Zero Hour for These Sites! As mentioned, several websites have teamed-up today to reflect upon Zero Month! While we’re featuring Extreme Justice, you should visit these other sites to see how they spotlight their own favorite heroes today. Visit them now, visit them later, and visit them often! Posted in: Comic books, Crossover, Extreme Justice, Firestorm #05: Ron solo, Ronnie Raymond. Zero Hour was my first dc crossover so I have a lot of nostalgia for it. Gotta love (or not) that McFarlane-like Blue Beetle. Check out that high-top fade on Amazing Man. Ah, the 90s. Ugh, the long slow degradation of the Justice League franchise under the editorshit of Roo “No Clue” Diaz. I cannot tell a lie: EXTREME JUSTICE is one of my all-time favorite series. Wrong on so many levels: a nightmare concept poorly executed. Delicious. While I agree with some of the comments above, it’s hard for me to completely hate a book that brought Firestorm back to the public consciousness after half-a-decade of absence.